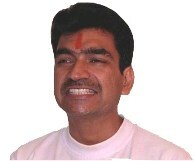 Sitkari pertains to the sound made by drawing air in through the front teeth-either tightly closed or slightly opened-with the tongue tip regulating the air pressure and sound. This technique pertains only to inhaling, except that exhaling normally takes place through both nostrils, after a usual full pause. In this exercise, a hissing sound is produced when the breath is drawn in, through the mouth, with the tongue touching the upper palate. When the breath is drawn in, a hissing sound similar to ‘si, si, si’, is produced. Hold the breath till you can and then throw out the breath through both the nostrils. The practice enhances the beauty of the practitioner and vigor of his body. It removes the hunger, thirst, indolence and sleep. It prevents the bile from increasing. Hardness of the tonsils is also removed by it. With regular practice of the Pranayama the mental and physical powers of the performer increases.